Kristina replaced the original Miss World Albania and many fans were elated, because she finally got a chance to compete internationally. She was Miss Universe Albania 2013 and could not represent her country at the 2013 Miss Universe Pageant due to the fact that it was held in Russia. 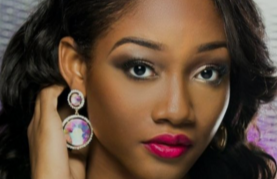 She did her country proud by being one of the top 30 finalists in the Top Model event and has a shot at being a quarter finalist… even though it’s more of a long shot. At first, I wasn’t so sure about Daniela’s chances at Miss World, but I must say that she has been growing on me. She is pretty and charming and she seems like a sweet girl. She has made it to the Top Model top 30 and was one of the top 32 in the Sports and Fitness competition. If she has a strong BWAP project, she might be in the top 20. Nicole’s most significant achievement at Miss World was that she was one of the top 32 in Sports and Fitness. Other than that, she has not been mentioned as a favourite to reach the quarter finals of Miss World 2015. Tess has received a lot of love from the Miss World judges and is one of the biggest favorites to win the crown this year. She has made the Top Model, Sports and Talent finals and that will give her a nice edge in the competition. I was not really on the bandwagon when I saw the results of the Australian national final, but she has definitely impressed in China. Do not be surprised if she wins the title on December 19th. The Miss Austria Corporation sent their 2015 winner to Miss World and I am sure Mrs. Morley is happy about that. I was not sure how she would fare at this competition, but she seems more well-prepared than some of her predecessors. Being one of the top 30 in Top Model will surely give her a few valuable points and put her in contention for a quarterfinal slot. 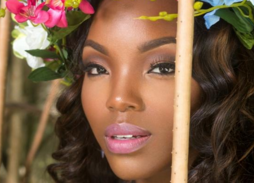 Chantel has made a positive impression at Miss World 2015 and it is evident that she gave it her all to represent her country proudly and to the best of her ability. 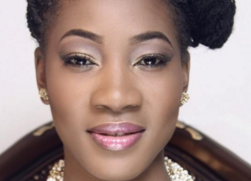 She has done the Bahamas proud and secured a top 30 placement in the Talent competition. The Miss Belgium Organization used to send their winner to both Miss Universe and Miss World, but in their last pageant, they gave the first runner-up the title of Miss World Belgium. I don’t know how Mrs. Morley will feel about that, but it was probably a smart move, because of the date clash between the two pageants. Leylah is pretty and she seems determined to do well. 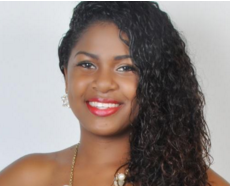 Jasmin was appointed to represent her country at this year’s Miss World Pageant. Representing your country at Miss World is an honor and I hope she has had a fantastic experience in Sanya. Alyssa did well by being part of the top 13 in the Talent competition and she was also one of the top 24 in Sports and Fitness. Some of her stronger predecessors have not managed to place at Miss World – could she finally bring Bermuda back to the quarter finals of Miss World? Last year’s contestant did very well by being one of the top 10 BWAP finalists and securing a place in the top 25 of Miss World. Vivian has represented her country well, but it seems like she won’t have the same luck. I had high hopes for the Bosnian girl, because she seemed to have the natural look that the Miss World judges favor and I even believed she would outdo her predecessor at Miss World. Apart from being one of the top 10 nominees for the Designer Dress Award, she has, however, not really made much of an impact in Sanya. She is undeniably pretty, but lacked the proper preparation to make an impact. Seneo was one of the top 24 finalists in the Sports and Fitness challenge event. That should give her a few valuable points. She is an attractive girl and represented her country well. Catharina has had an interesting road to the Miss World finals. She was the runner-up at her pageant, but the winner had to resign due to being married, which meant she inherited the title. That being said, she is so much stronger than the original winner and has made quite an impact in Sanya. She is one of the most consistent girls this year and she has been trained really well. Brazil is long overdue for another title and they might just get lucky this year. I actually find Sasha absolutely adorable and she seems very likeable in her videos. It’s nice to see the British Virgin Islands sending a girl that can actually make it to the top 20. I thought she would be a potential winner of the Talent Challenge Event, but sadly she did not even make the top 5. Veneta is a pageant veteran having competed in Miss Universe, Miss Grand International and now Miss World. I actually enjoyed watching her profile video. She seems like a lovely young woman. Jessica is one of the nice surprises of the pageant. 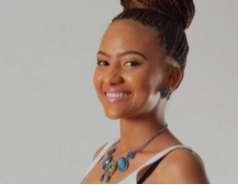 She seems well-prepared and has made an impact by placing the top 30 of the Top Model Challenge Event and also the top 30 of the Talent Challenge Event. Fernanda is lovely looking young woman – and has the look that is typically appreciated by the Miss World judges. She made it to the top 30 of the Talent Challenge Event. If she does well in her interview and has a strong BWAP project, she will be up there. In my opinion, Miss China is not one of the strongest bets China has ever sent. She simply does not really measure up in the looks department. She made it to the top 30 of the Talent Challenge Event and also made it to the top 30 of the Top Model Challenge Event. 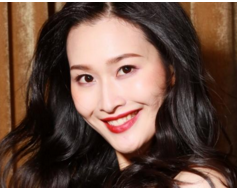 As Miss World is being held in China, it is highly unlikely that she will be left out. The hosts will probably insist on their girl being included. I will be really unhappy if she makes it to the top 5 though. Colombia’s Maria Alejandra Lopez is one of the most stunning (if not THE most) girls in this year’s competition. I thought she will be fighting for the crown, but so far she has not yet received much love from the judges. Do they know something we don’t? Purely based on looks, she should be high up there and it would be a shame if she does not go far in the competition. Representing your country at a major event like Miss World is an honor and I hope Angelica had a fantastic time doing so. She made it top the top 30 of the Talent Challenge Event and that is something to be proud of.